Once in a while, I crave for something different to eat and in those moments I tend to experiment in the kitchen, sometimes with great results. Here is the result of one such experiment. 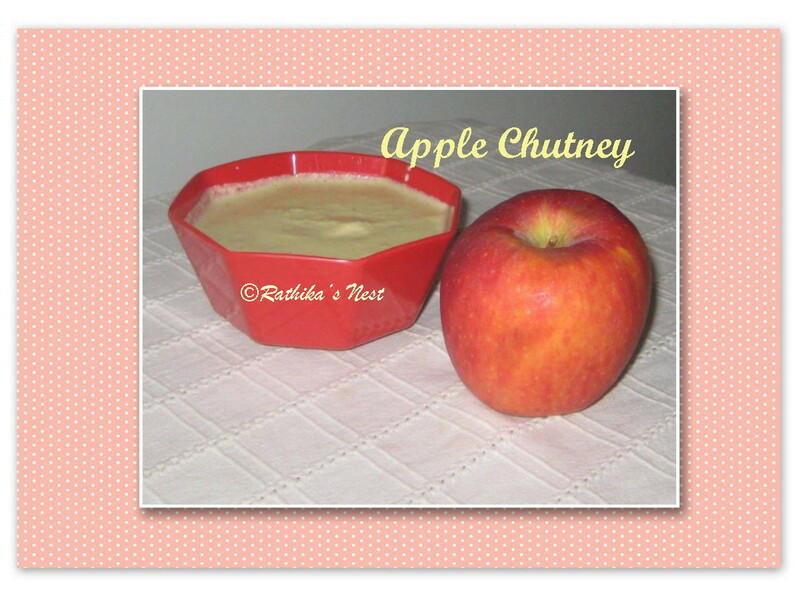 This apple chutney is the traditional Indian chutney with a twist and it goes well with our very own dosa. Method: Simple. Grind all the ingredients into a smooth paste using a mixer-grinder. Serve with dosa or idly. You can also serve it with snacks like koftas.